Have you ever held back on a dream because you were intimidated by the journey? The path seemed too long, the goal too far away, and you doubted your ability to reach the end, so you never took the first step? If this sounds familiar, first: know that you are not alone. Next: listen up, because I want to tell you about a new book that will motivate you to reach your dreams one step at a time. 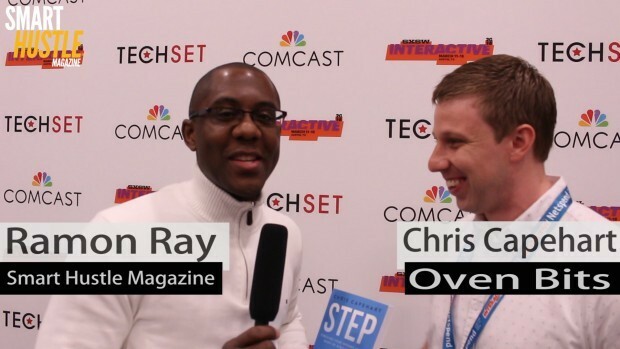 At SXSW 2016, I caught up with Chris Capehart, CMO of Oven Bits and author of a new book called Step: Pursuing Your Dreams in the Midst of Everyday Life. At Oven Bits, Chris gets the opportunity to help build global brands in industries like travel, fashion, and lifestyle. While he is helping these companies grow, he decided to also write a book that would help other small business owners to do the same thing. According to Chris, the key to pursuing your dreams, no matter what they are, is to focus on each small step toward that dream instead of being intimidated by the long path you’ll need to take to get there. To listen to our full interview, click below. As Chris mentions in our interview, there is one thing all dreams have in common – the proverbial mile. The proverbial mile is the distance that sits between where we are right now and where we want to go. It is the space between the things we want to achieve, the person we want to become, and the business idea we want to develop. The proverbial mile is LONG and so when people see it, they get intimidated and overwhelmed. Zooming out and taking a look at the proverbial mile in full can halt further action because the path ahead is so daunting. In reality, you can’t go a mile in one step, so why look at the proverbial mile that way? If you can zoom in on the path, you will see that it is just a series of small, minor steps. Each step is achievable, can fit in with your everyday life, and can get you closer to your goal. #Entrepreneurs, @chriscapehart says taking smaller steps helps you reach your #biz dreams faster. Chris’s book Step is aimed at changing how you view the proverbial mile and teaching you how to take smaller steps that will help you reach your dreams. There are things that you can do, things you must do, each and every day. By taking these small steps, you will put in the time you need to reach the longer goal. You will develop consistency and persistence – and you will see your progress, which will motivate your next steps. Make sure to click Play on the interview above to learn more about the book and how Chris says we can break down ‘the proverbial mile’ into achievable steps. The book is sure to reignite passion for that dream you let slip by, and motivate you to reach even your loftiest goals.